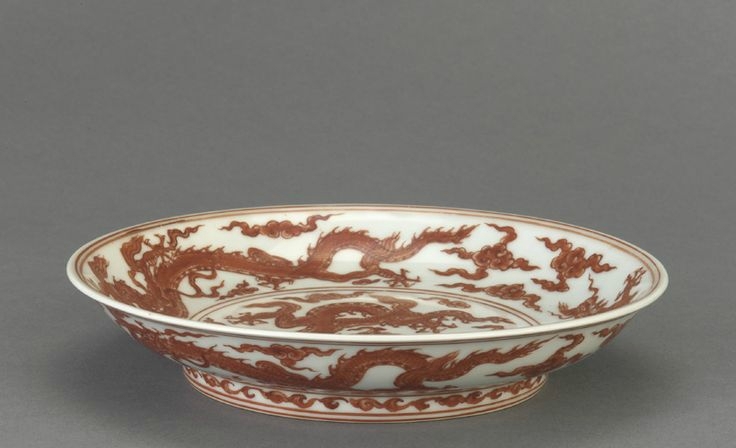 Dish with design of dragons and clouds, 1426-1435, Ming dynasty. Porcelain with cobalt under clear glaze, enamel over glaze. H: 3.7 W: 19.0 cm, Jingdezhen, China. Purchase F1965.4. Freer/Sackler © 2014 Smithsonian Institution.